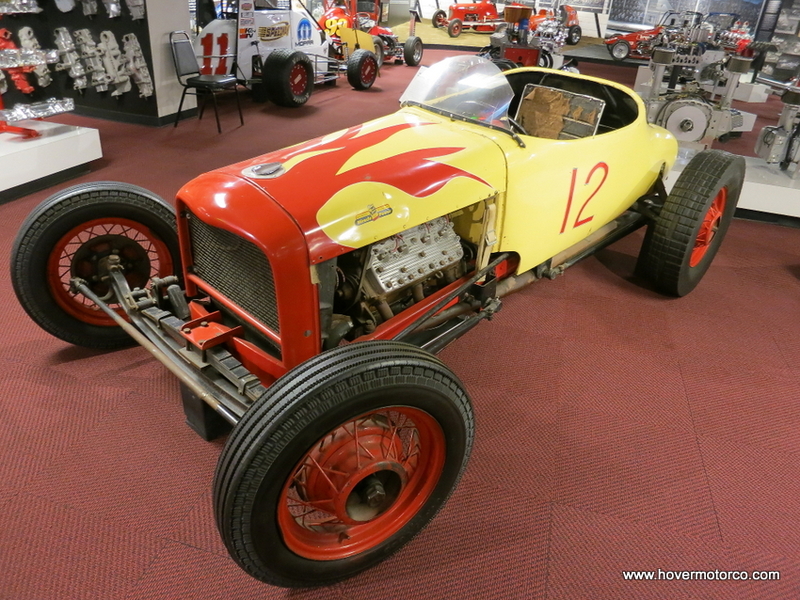 HOVER MOTOR COMPANY: "Speedy" Bill Smith's Museum of American Speed at Speedway Motors. Amazing. 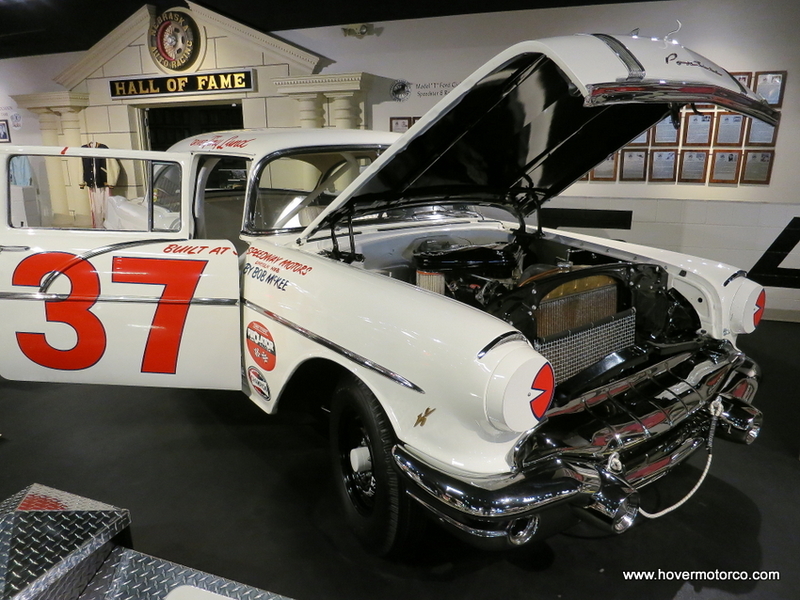 If you are a hard-core hot-rodder or circle track racer, you have probably ordered something from one of Speedway Motors’ enormous catalogs. They carry everything from hubcaps to camshafts, and it is all shipped out of their 500,000-sq/ft campus in the capital of the Cornhusker state. The size of the operation will take your breath away, and there were customers standing four-deep just to buy things from the parts counter. 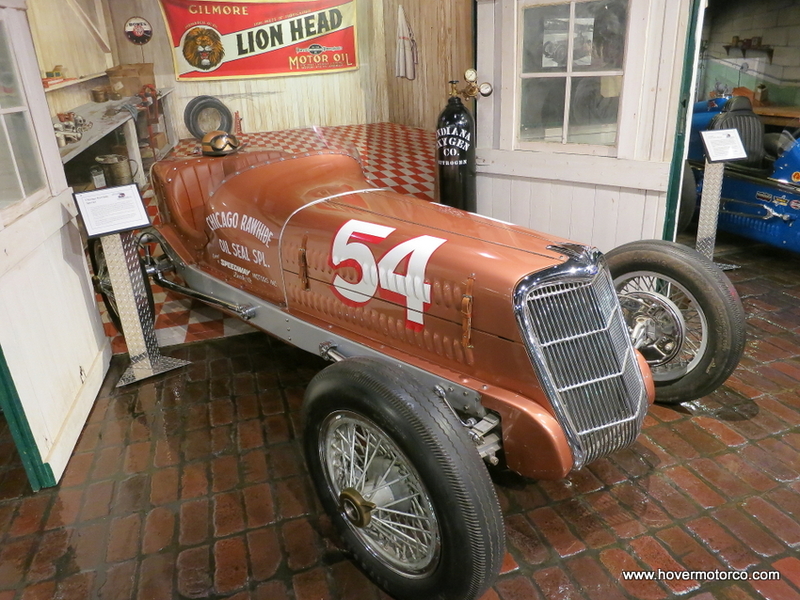 Incredibly, this was all created by one guy—automotive icon “Speedy” Bill Smith, in 1952. And even today, the 83-year-old Smith still presides over the whole operation. Even with its obvious success, Speedway Motors continues to be a family business. When a guy who is as passionate about automotive history as Smith is stays in the business for more than 60 years, you can bet that he has accumulated a significant collection of vintage racecars, engines, and memorabilia. That’s where the Museum of American Speed comes in. 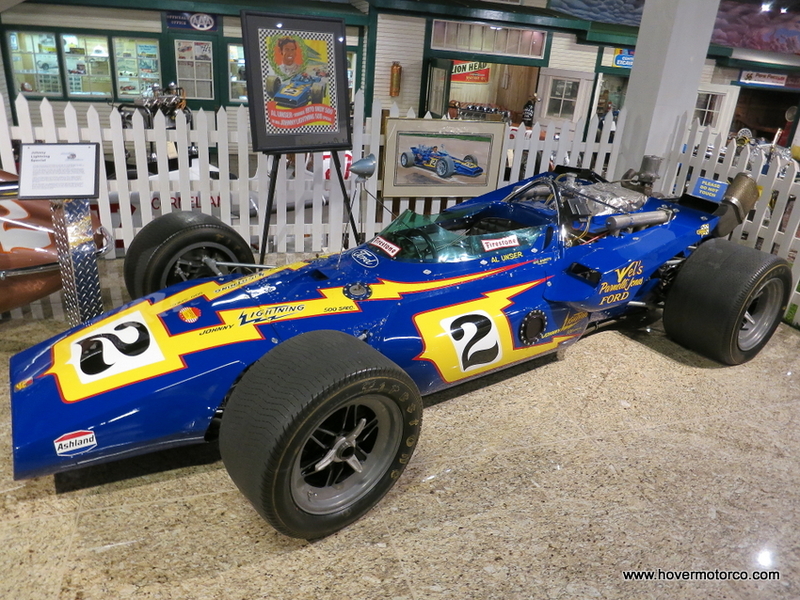 Located adjacent to the Speedway Motors warehouse, this 135,000-sq/ft space houses one of the best collections of its kind. The museum’s exhibit designer Jarrid Roulet was kind enough to give my family and me a personal tour of the collection. His knowledge and enthusiasm was evident throughout the two hours that he spent with us. This impeccably designed, Speedway Motors-sponsored streamliner was co-built and owned by John MacKichan and driver Tim Schultz. 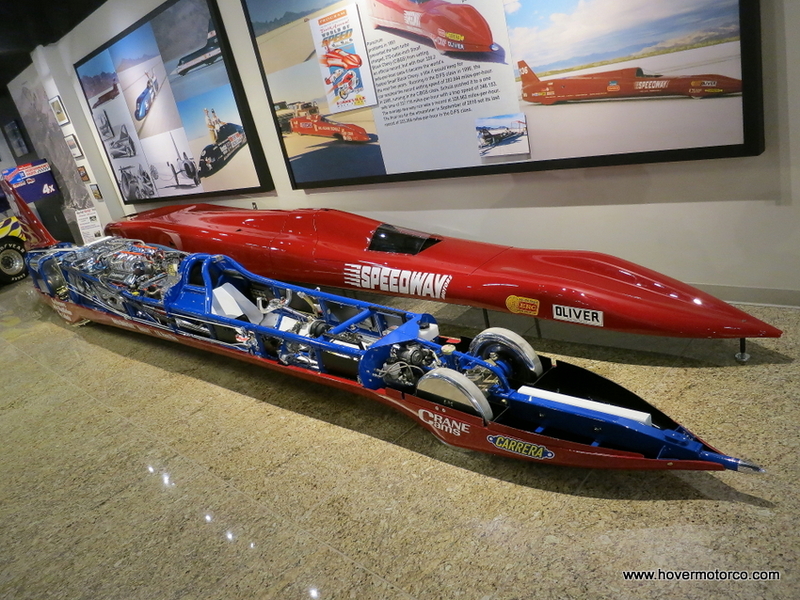 It broke a class record at Bonneville in 2010, traveling at an average speed of 323.3-mph. It has some familiar parts, like a 302-c.i. Chevy small-block. 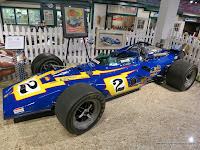 But somehow, the way everything was assembled within this custom-built chassis looked more like a work of art than a car. Just getting to see this thing in person was pretty cool, but even more exciting is that MacKichan himself is the curator for the museum. I was looking at the car, turned around, and bam, there he was. He even said he liked this blog. Every NASCAR fan has seen the footage of the 1976 Daytona 500, in which David Pearson and Richard Petty wreck each other while battling for the win. Pearson managed to limp his Wood Brothers-owned Mercury Montego past Petty in the infield grass, while Petty’s crew scrambled to push him across the line. Amazingly, Pearson crossed the line first, taking the win. 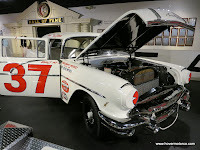 This is the actual car from that day, restored to a level that is probably better than it was when he started that race. One thing I never knew about this car was that the red roof actually contains a bunch of sparkly metal flake in the paint. 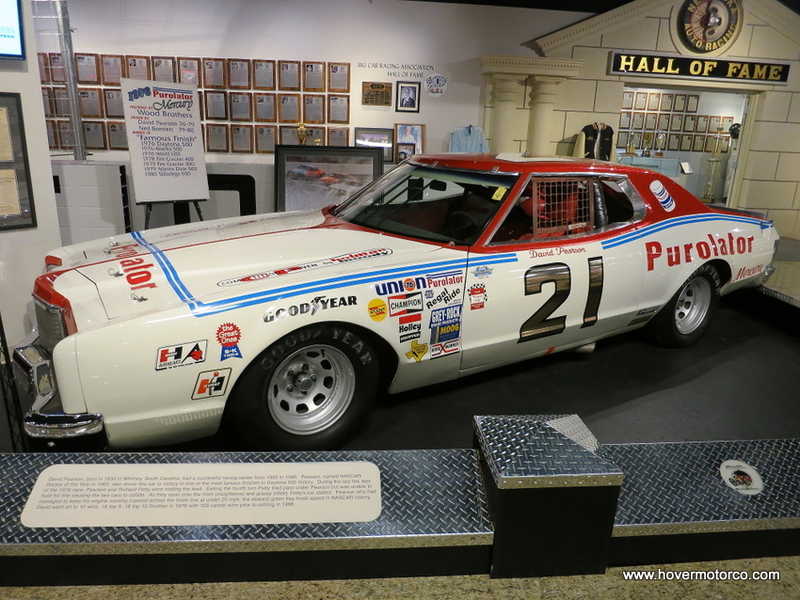 This car is a major piece of NASCAR history. In USAC sprint car circles, this Speedway Motors-owned-and-sponsored #4X is high on the food chain. Jan Opperman was a long-haired hippie from Montana, and man that fool could drive. 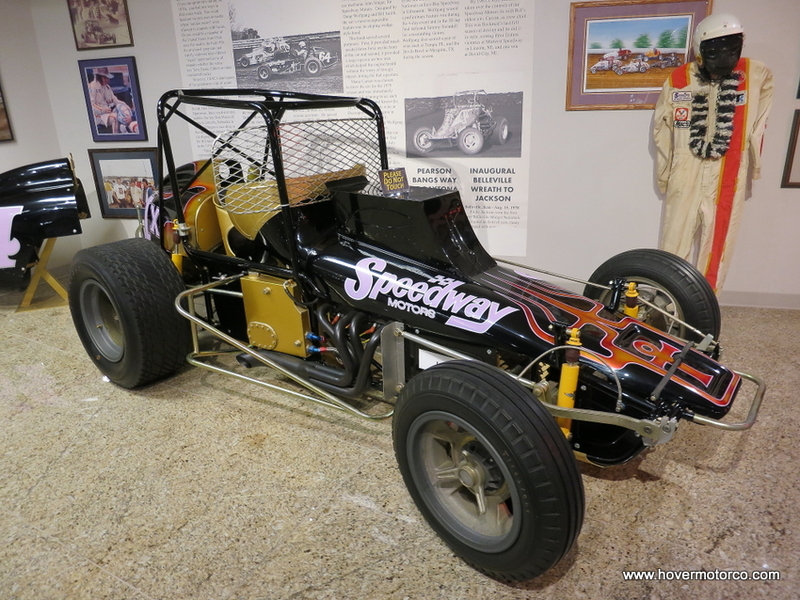 The Hulman Classic was the first sprint car race to receive national television coverage, and the race bristled with anticipation, excitement, and controversy. Opperman was able to hold off Pancho Carter for the win in this historic event. The car appears just as it did in that race 37 years ago. 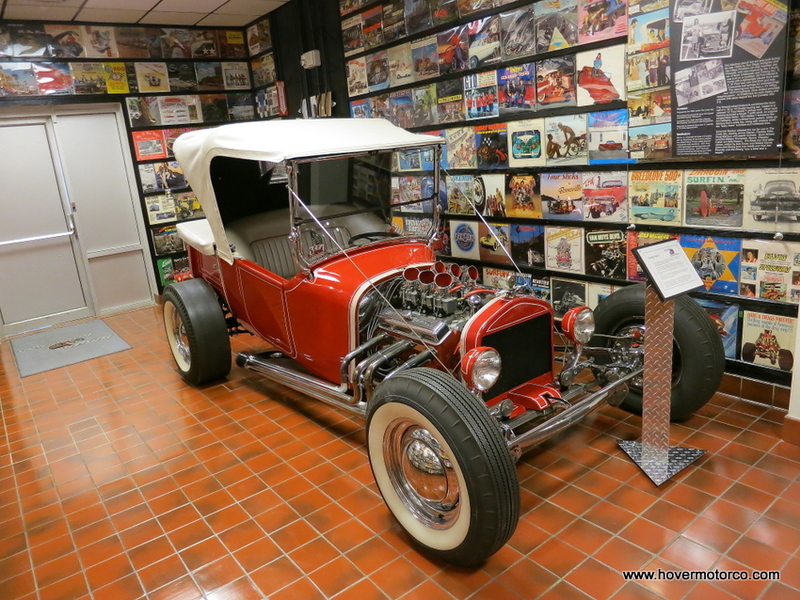 Because the Model T marks the beginning of the automotive aftermarket, that make is well-represented at the Museum of American Speed. From a beautiful, inline-six-powered example that was custom-built for Edsel Ford, to the five-millionth Model T ever built, there is a Tin Lizzie for every taste. 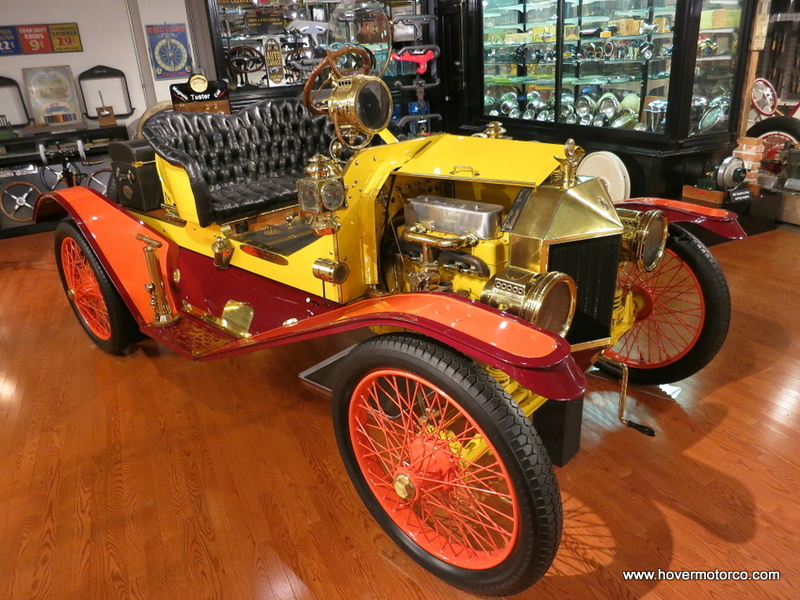 This bright, striking beauty showcases parts form every year the Model T was produced from 1909 to 1927. It goes great with the huge and well-organized selection of Model T hop-up parts that are on display. This ’58 Fleetwood was purchased new by Austrian bombshell Hedy Lamarr. Lamarr was a popular actress both in Europe and the United States, and starred opposite the likes of Clark Gable. She was also a scientist and mathematician, and helped develop techniques that are used in wireless communications to this day. Lamarr actually gave this Fleetwood to her gardener in the mid-1960s. 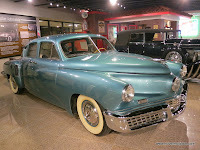 But even without the celebrity connection, this is a slick old Cadillac, and not a model that you see much of today. This T-Bucket has a little Hollywood provenance as well. 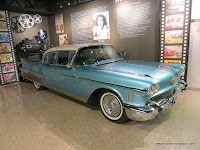 It was featured in a couple of movies, including 1964’s The Lively Set starring James Darren. 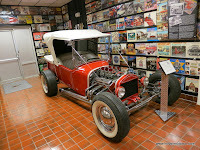 The body is from a 1923 Dodge, but the frame and pickup bed are all Ford. It’s powered by a Chevy 283 small-block with six Stomberg 97s. This car looks original and untouched from that time period, and it really is a fun time capsule into early ‘60s hot-rodding. Unfortunately, Mr. Smith wasn’t at the museum while I was there, so I couldn’t meet him. But you could certainly feel his presence. I asked Jarrid how often he thought he came in here and lurked around when the museum was closed, and he said, “quite a bit.” The museum is only open for tours at 2:00 on Fridays October through April, so that would leave him lots of time to just hang out here. I know I would—spending quality time with a collection like this would be quite cathartic. 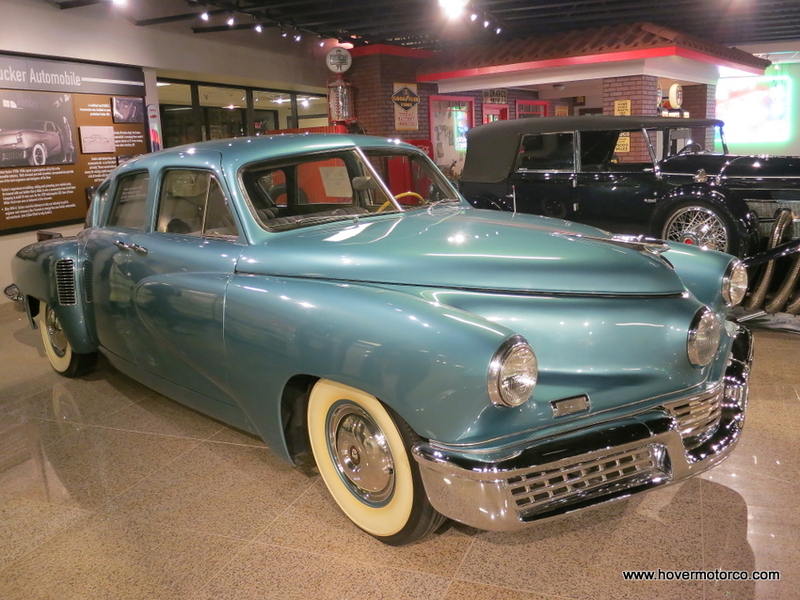 There is so much more that I’d like to show you—the ginormous engine collection, the ’48 Tucker Torpedo, the Boothill Express Ray Fahrner custom, the pedal cars, the tether cars, all the fantastic race cars—but I’m running out of space. Also, I took 500 photos while I was there, and while I would love to show them all to you, Jarrid asked me not to. They would rather you actually go to the museum than just look at the pictures. So I decided to cull my slideshow down to only 50 pictures, which was much harder than you think. If you want to see all the stuff in the background, you’re going to have to go to Lincoln yourself. 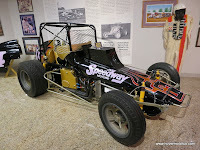 For more about Speedway motors, visit http://www.speedwaymotors.com/. 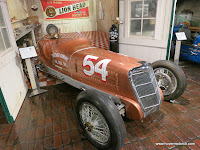 For more about the Museum of American Speed and “Speedy” Bill Smith, check out http://www.museumofamericanspeed.com/. And for a better version of the slideshow below, click this link. I am definitely going to check that museum out the next time I go through Lincoln. Thanks for posting this!